Every Saturday, I host a feature called Kid Konnection -- a (hopefully) regular weekend feature about anything related to children's books. In anticipation of the June 18th release date for Toy Story 3, I'm going to share with you two very cute books based on the movie. Like many families with young children, our entire family can't wait for June 18th. That's the date when the highly anticipated movie Toy Story 3 will be released. We saw the previews for it a few months ago when we saw Alice in Wonderland, and I have to say it looks incredible -- and very funny. I don't want to give away any spoilers, but Andy is getting ready to head to college (I know, can you believe it?) His mother asks him to clean out his room and all of his old toys. When Andy places his toys in a big, black garbage bag, they end up on an adventure that takes them to a daycare center, a garbage dumpster, and an incinerator. There is lots of action and many very funny moments -- some of my favorites are when Barbie meets Ken and when Mr. Potato Head becomes a Mr. Tortilla Head! My five year old son has been very interested in all things Toy Story ever since our trip to Disney World last fall -- the Toy Story 3D WII game, the first two movies, and of course Toy Story books! So you can imagine his excitement when he opened a package this week and found two Toy Story 3 books. He was beside himself with excitement! The first one that immediate caught his eye was TOY STORY 3 - A READ-ALOUD STORYBOOK. He sat right down and "read" the book for about 15 minutes in the car. He was so absorbed in the pictures that he didn't realize we forgot something and had to return home to get it. He absolutely missed out on our return trip home and didn't even notice that I had parked the car in the garage and went into the house to get the forgotten item. He was that hooked on this book. I think that's one of the best recommendations as to how terrific the pictures are in this book! The read-along version of TOY STORY 3 is geared for 3-8 year olds. It is definitely a longer than normal picture book (about 65 pages), and I think older children will appreciate the detail of the story and pictures more. There are loads of gorgeous pictures taken straight from the movie, but there is also a fair amount of text on each page. It definitely follows the plot of Toy Story 3, so I'm a little hesitant to read it to my son before he sees the movie -- I don't want to spoil the "magic." The second book was TOY STORY 3 - THE JUNIOR NOVELIZATION. This book is perfect for the early readers because it consists of relatively short chapters, and it's a little over 100 pages. It's very heavy on text so it's definitely not for the beginning reader, but there are a few color photos in the center of the book. The publisher recommends it for ages 8 through 12, so I shouldn't have been that surprised when my almost 11 year old daughter asked if she could read it. While Booking Son isn't reading independently yet, he does love for me to read to him these "big kid" books. So I know what we'll be starting in a few days after we're done with a Speed Racer chapter book and after we see the movie. And I have a feeling that I'm going to be reading this book quite a few times before the summer is through. I know he's going to love the in-depth story, but I do think the first read-along book is better geared towards his age level. Since both of the books are a summary of the movie (yes, I do know how they end and I admit that I found myself tearing up just a bit! ), the content was almost exactly the same. However, both books do have their advantages; and they are definitely aimed at different age levels. I thoroughly enjoyed reading both books because I could imagine the entire movie playing in my mind. I think this movie is just going to be wonderful and exactly what I've come to expect from the Toy Story movies. If your family loves the Toy Story movies they way our does, then I highly recommend checking out these books. And if these two books don't seem like a good fit for your family, then I suggest checking out the entire selection of Toy Story 3 books because there is bound to be one that works for you. 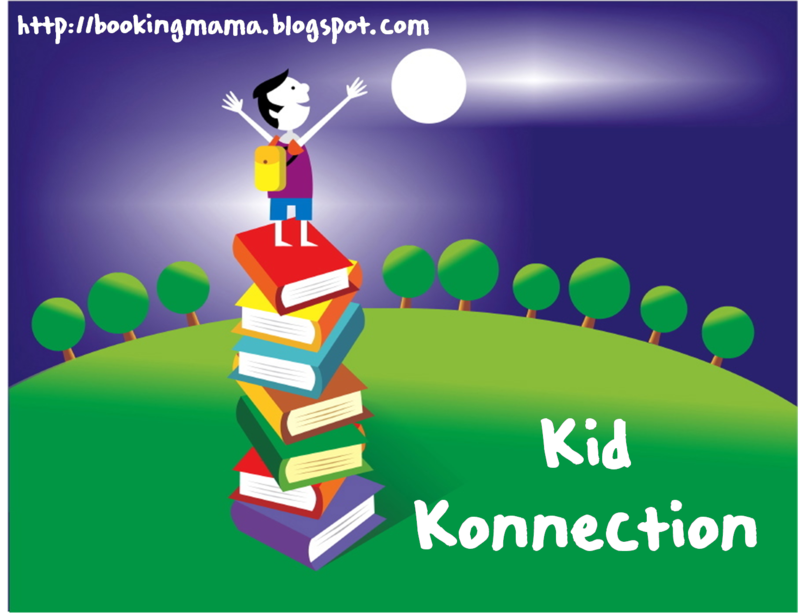 There are board books, early reader books, magnet books, chapter books, activity books, etc. Thanks to the publisher for sending us copies of these two Toy Story 3 books. Sad to admit that I haven't even seen any of the movies -- probably because my niece missed these and never begged me to watch or read these with her. Now at 15, I'm sure she'd feel it was beneath her admit any Toy Story love. LOL. Tell me it's not true - I can't believe Andy's old enough for college. Sorry I haven't done Kid Konnection the last few weeks - I do have a post planned for next week, though! We are counting the days until Toy Story!! Can't wait. Oh -- and I have two links today -- I hope that is OK?! Each day, my kids are telling me how many days until TS 3. Those theaters are going to be PACKED. Toy Story is the first animated film my husband and I owned BEFORE we had kids. So glad the books are as magical as the movies! Thanks!